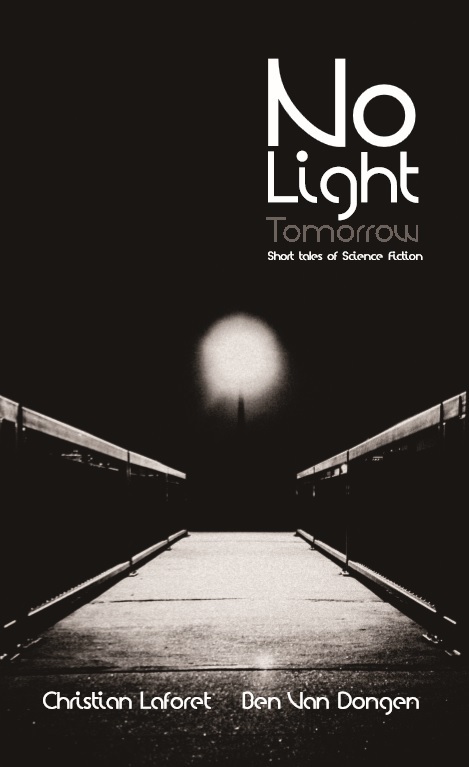 No Light Tomorrow Cover Reveal! We’re thrilled to finally show the world No Light Tomorrow! Some things are so accepted as to be taken for granted. While the far future is shrouded in uncertainty, there are expectations often considered assured that are overlooked. There is only one you, threats are usually empty, ghosts are not real, life is finite, science can solve the most daunting challenges, and beliefs are assured when society takes matters in their own hands. When unexpected events transpire, we are left in the dark. Authors Christian Laforet and Ben Van Dongen present six science fiction stories that explore improbability and show you what happens when expectations are subverted.